You have one week left! Sign up NOW for the Handstand Walk Clinic. No matter where you are in your skill level, this clinic will take you one notch higher. Get comfortable upside down. Learn to use the weight on your hands to move across the floor. The Open is coming later this month. 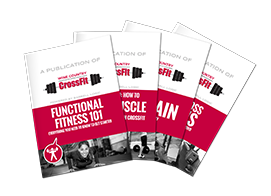 Get ready for this big athletic challenge by adding a fundamental CrossFit skill.